Ellis Hunt, third generation Florida Citrus Grower, stays busy running Hunt Brothers Inc., and also finds time to serve as Chairman of the Florida Citrus Commission supporting the citrus growers of Florida. In 1922, Hunt’s grandfather and brother entered the citrus industry and started Hunt Brothers Inc. As a third generation Florida Citrus Grower, Ellis is proud to produce the juiciest oranges that make the one and only Florida Orange Juice. 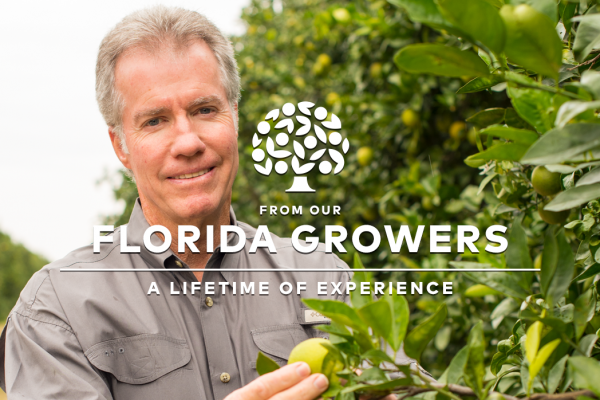 While Hunt presides over his Lake Wales grove and packing house, he also finds time to serve the Florida Citrus Growers as Chairman of the Florida Citrus Commission. Ellis continues to promote the amazing benefits of Florida Orange Juice and the hard-working Florida Citrus Growers while fighting the devastating greening disease called HLB. His relentless pursuit of a cure, coupled with his love of citrus, has made Hunt an important part of the future success of the industry and the face of hope for many generations of growers to come.